I did say it isn't all that unique. At first glance, it is true. 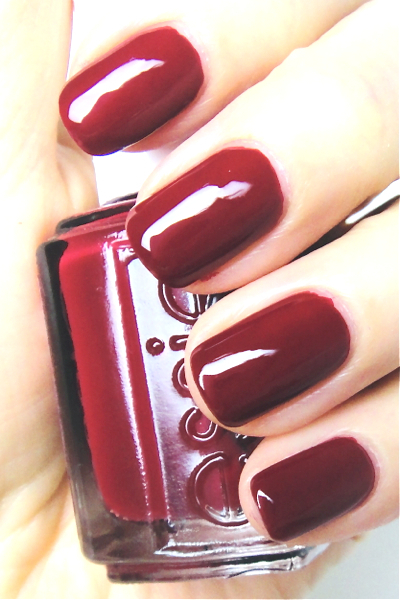 Head Mistress is just another rich creme red with blue undertone. 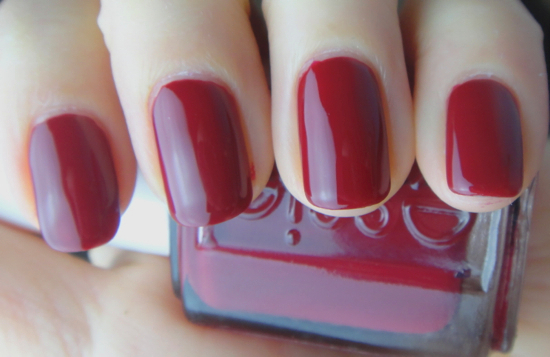 It is quite deep but with some translucency from its beautiful cream-gel finish (Essie does this so well! 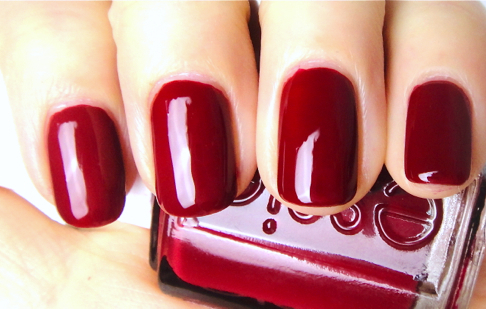 ), it does not look stuffy or boring as some red polishes often do, which I think i is what makes this polish rather unique. Head Mistress is also a bit of chameleon, it looks quite different under different lighting. It is an autumnal dark red under dimmed yellow light, and a bright berry red under white light. I did not get to capture this beauty with natural light but I can tell you in that case, it is one of the most beautiful pure red. The consistency is a bit thin but it applies evenly with ease. Two coats is all you need. I am wearing it over Revlon base coat topped with Seche Vite Fast Drying top coat. This has become a new favorite and I know I will reach for it many many times this winter. Looking back, I realize the 2012 fall Stylenomics suits my taste much better than this year's. I might get more colors from the collection.